Cast Iron comes on many tools. Some are superb quality and others are well... not. The one thing that can be agreed upon is cast iron will last an extremely long time if properly taken care of. 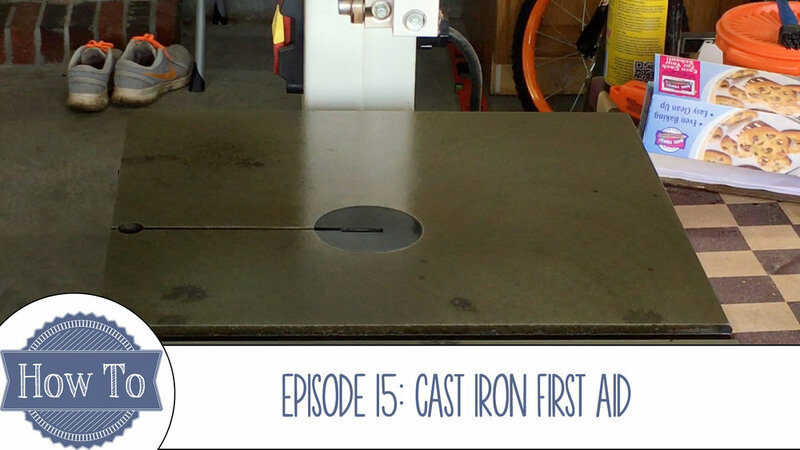 Problem is I didn't take the necessary precautions to protect my cast iron surfaces on my bandsaw, drill press, and lathe during my move from Texas to South Carolina. Then I let the tools sit for a year in the shop without cleaning them up. Finally enough was enough and I decided to get them cleaned up and tuned up. Read on to see how I do that. Before you continue reading don't forget to follow me on Instagram, Facebook, and YouTube to keep up with my latest adventures. * This post contains affiliate links. For my full disclaimer, click here. 1. Spray your cast iron surface with Blaster, WD40, or other multi-purpose spray lubricant. Allow the spray lubricant to sit on the surface for a few minutes to penetrate the tougher rust spots. 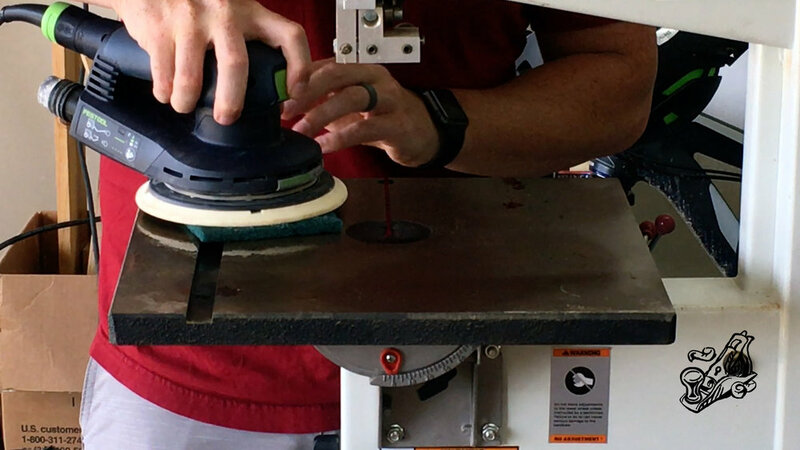 Place the pad on to the sander and start sanding away making sure you are passing evenly across the entire table surface. 3. 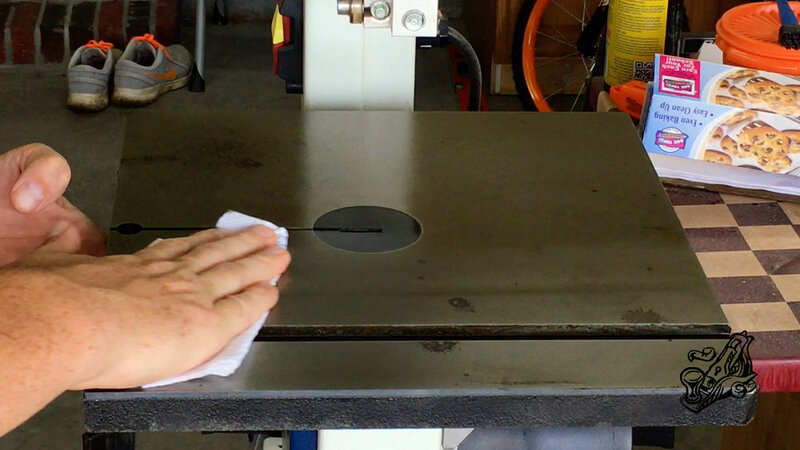 Using blue shop towels and mineral spirits wipe down the sanded surface to remove any metal dust remaining on the surface. If more sanding is needed the repeat steps 1 and 2 above before repeating step 3 again. 4. Now that our cast iron surfaces are free of rust and heavy pitting it is time to take some preventative measures to ensure our surfaces remain rust free and glide freely. I use Renaissance Wax because it has never effected my material before. It is a little more expensive so you can use another paste was like Johnson or Bees Wax. Take a small amount and apply it to a shop towel and gently rub it into the surface. 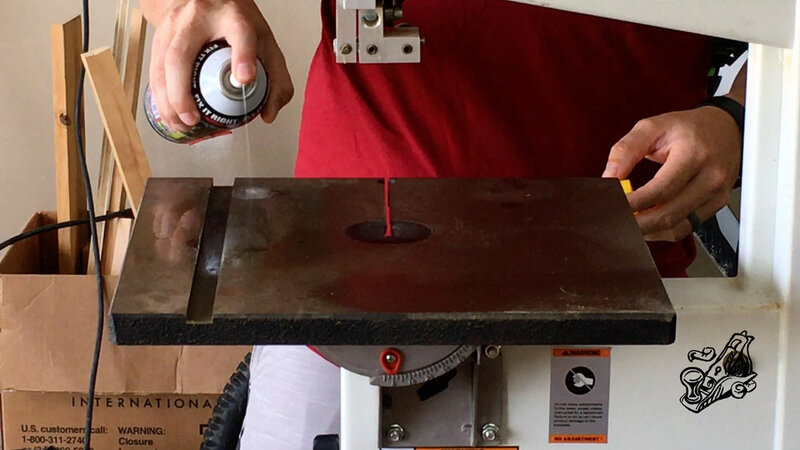 While you have the wax out it is a good idea to apply it to your fences, fixtures like table saw sleds, and fence rails. Once the wax slightly hazes over take a clean towel and buff the excess wax off. 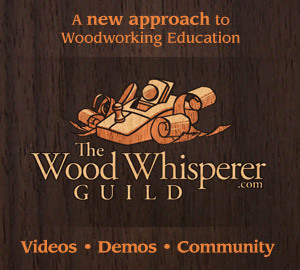 Assemble and tune up your tools then ENJOY!